I love getting book suggestions from friends and other bloggers, so I thought I would share some of my favorite books that I read in 2017, to inspire you as well! Reading is truly one of my favorite things to do and I read some great books this year... and also some duds lol. Is there anything better than curling up with a cup of coffee (or wine) and reading a good book? I think not! On my list you will notice a theme of thriller/ mysteries because I can't get away from them. I love that these books pull me in and keep me wanting more page after page. Also, most of them scare the tar outta me but oh well haha! I tried to keep my descriptions really brief without giving anything away. If you click on the title, it will take you to the Amazon link so you can read more of the synopsis. If you have any favorite books from last year, feel free to share them below! This was hands down my favorite book that I read last year. I have to forewarn you that it is super disturbing and makes you sooo angry but worth it! We actually read it as a part of my book club in SD so I feel bad that I scared my friends lol. It follows the marriage of Jack and Grace, the seemingly perfect couple. There is a very dark story resting below the "perfect" surface that you couldn't even imagine was possible. You will be trying to figure out this could possibly get any better for Grace and it will keep you guessing until the very end. Buy this one asap! Here is another B.A. Paris book because I couldn't help myself! The book introduces you to Cass, a woman who is driving home in a terrible storm. She takes a shortcut down some back roads and what she sees will forever change her future. Why didn't she stop and help that woman and could she have changed her fate?? Her life starts to take a downward turn and spirals out of control. What is happening to her and how can she ever feel safe again? This book will leave you guessing and craving more at the same time. My mom and I listened to this audiobook on our drive across the country and we loved it. This is very different from the other two books listed above, which was a nice change. 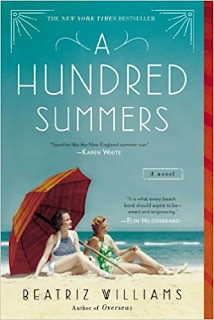 The book is set in the late 1930's on the coast of Rhode Island and bounces back and forth between the past and current day in the novel. I'ts a typical love triangle that ends up not being so typical at all when it comes to the three who are involved. I loved trying to figure out where Lily's true feelings would fall and I couldn't help myself rooting for young love to win. It has a tragic ending leaving you wondering why the author would decide to add that twist, but is worth sinking yourself into. 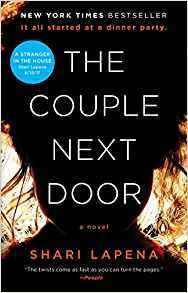 It all started at a neighbor's dinner party when a terrible crime was committed. The people involved will all point fingers at each other, leaving you wondering what this couple is truly hiding. 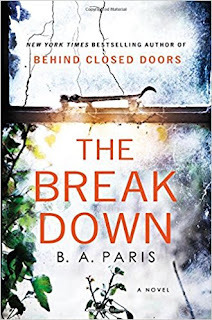 The twists and turns will have you question the motives of the characters and truly saddened by the situation. I couldn't put this book down and tore through it in a few days. This is a must read if you love suspense but isn't as graphic as B.A. Paris' books. I also loved her newest book, A Stranger in the House. Add that to your list as well! 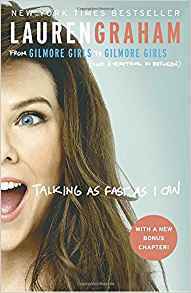 If you are a Gilmore Girls fan then you need to read Lauren Graham's book. It's a collection of stories through her childhood, trying to make it as an actress, and from several of the shows she worked on. She talks a lot about the special moments on the Gilmore Girls set and gave some funny stories about Parenthood. I actually watched the entire season of Parenthood because of this book and I LOVED it! This is an easy read and it left me even more in love with Graham than before. This story paints a picture of what it was like for young children in Paris during the Vel' d'Hiv roundup in 1942. 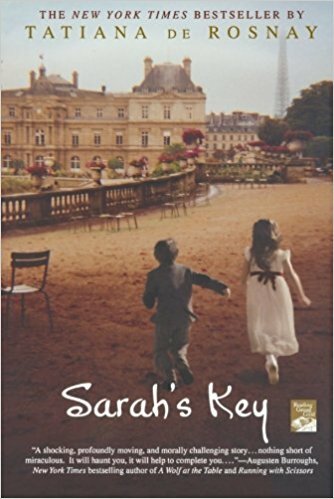 You meet Sarah, who is trying to protect her younger brother from the horrors of the war, but won't be able to stop the unthinkable from happening. 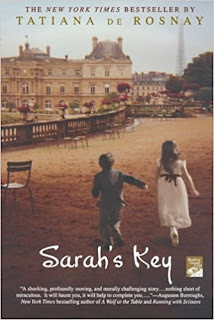 Then the book flashes forward to 2002 in Paris where a woman, Julia, uncovers history about her family's apartment. The two lives of Sarah and Julia will become intertwined as Julia retraces these terrible events. This book is heart wrenching and so sad but I couldn't put it down. You will have a good cry while reading this one! 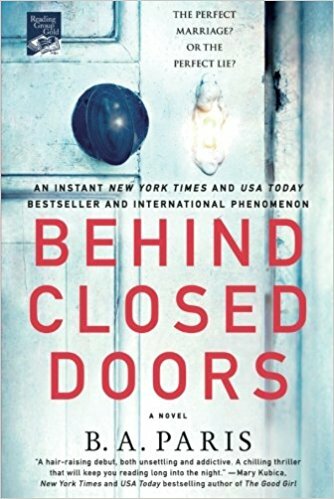 I keep hearing good things about 'Behind Closed Doors' so I just purchased it.